Watch free online, educational 3D cartoon for toddlers and learn colors, counting and shapes! 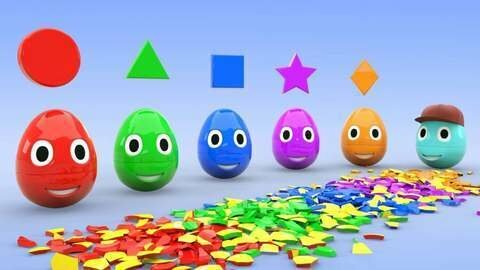 In this cartoon for toddlers, learn shapes and colors while counting the eggs. See the surprise eggs change into different shapes like the orange rhombus and a purple star! What is your favorite shape and color? Visit SeeZisKids.com to find out what other things the eggs do.